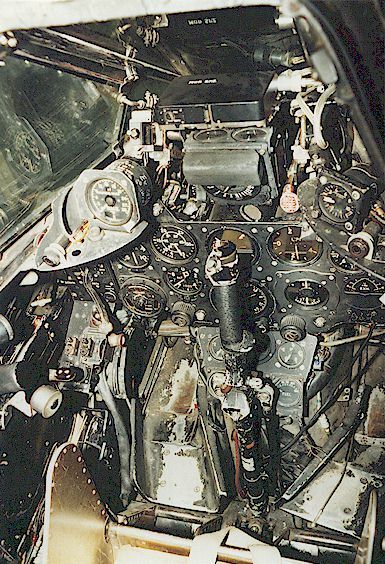 Photo 3 - Starboard view of cockpit wall. 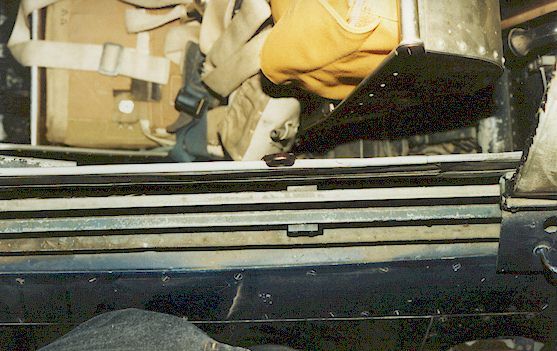 Note how the rubberised pressurisation seal for canopy rises above these rails. 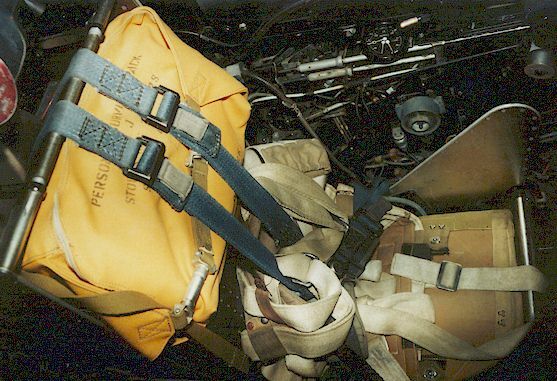 Photo 4 - Martin Baker ejection seat. 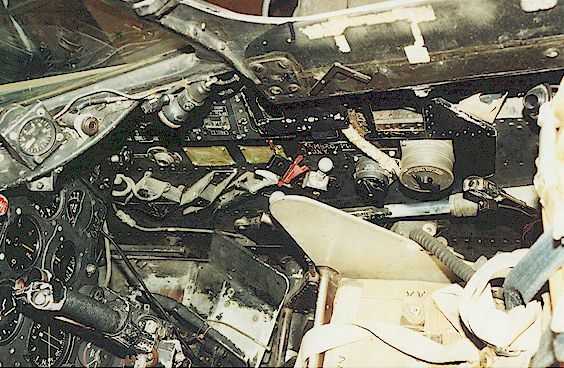 Photo 5 - Area immediately behind pilots seat. This area normally contained radio equipment and the ammunition boxes for the four 20mm cannons. 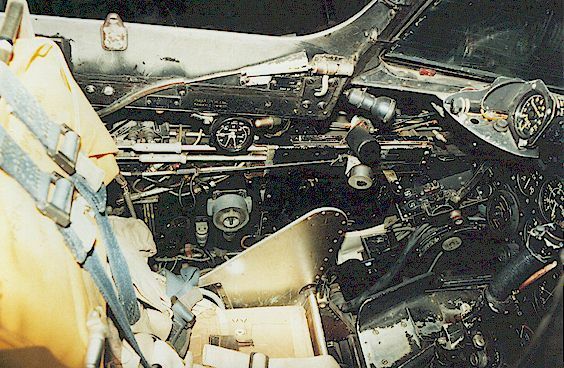 Please note that this area is only visible when the canopy is open as other wise it is covered by a sliding panel affixed to the bottom of the canopy. 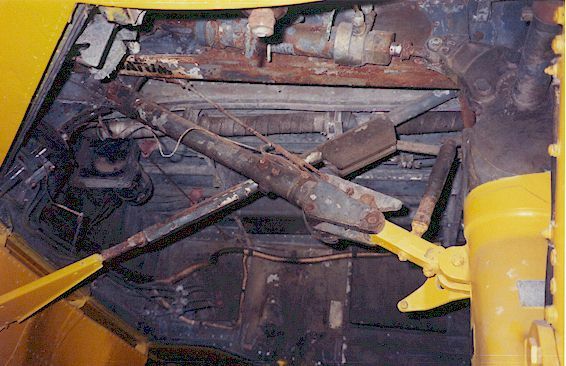 Photo 6 - Complex system of canopy track rails, also only visible when the canopy is open. 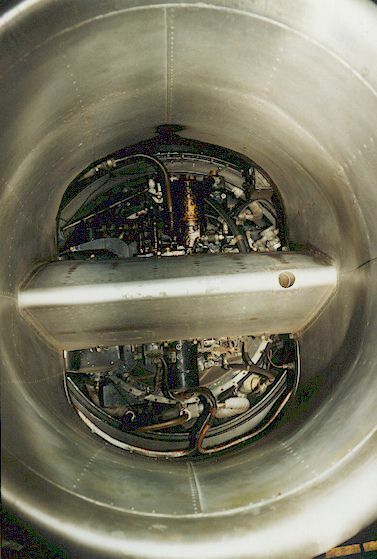 Photo 8 - Spent shell and link ejection chutes found on each side of the nose of the Meteor. 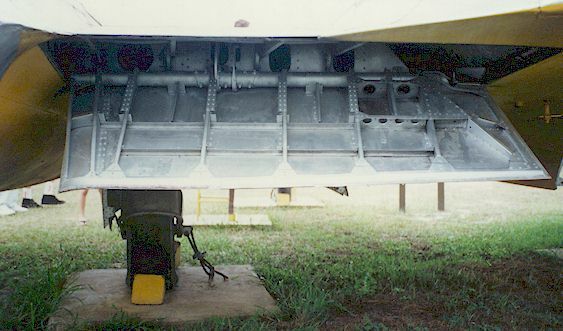 Photo 9 - Meteor nose gear as viewed from the port side. 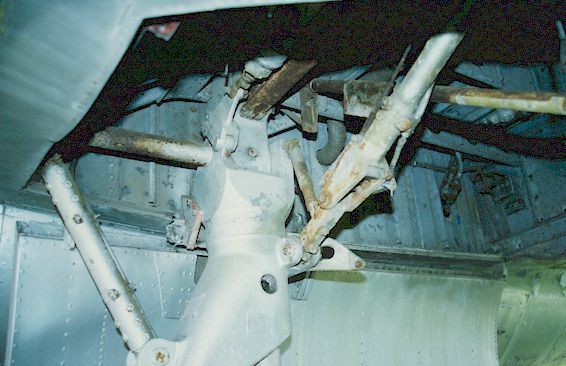 Many examples in Museums have lost pressure in the oleo so be careful in using Museum aircraft as reference – Luckily this aircraft has not suffered this fate. 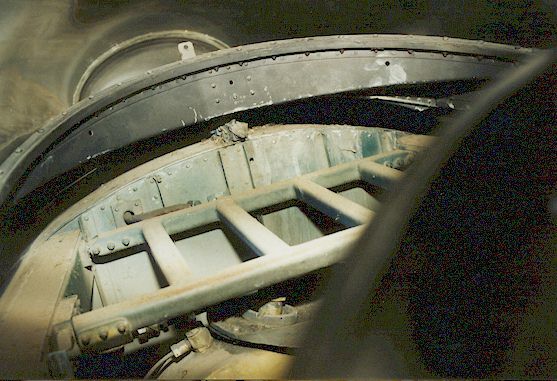 Photo 14 - Port main wheel well, Note the “handed” pattern of the wheel hub. 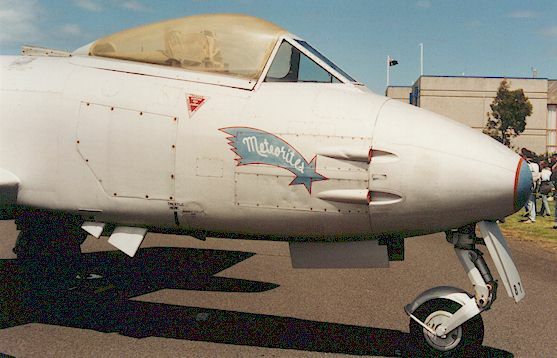 Meteor’s F.8’s usually had the hole’s facing the same direction and the brake side facing the other direction. 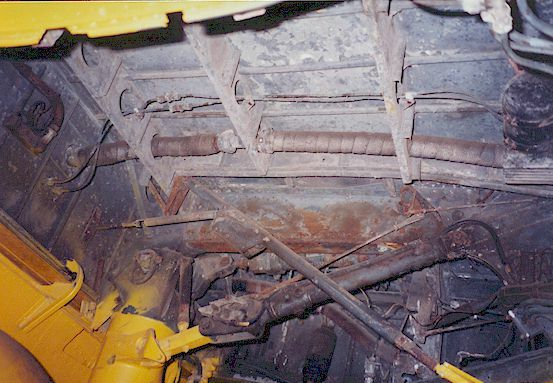 Photo 16 - Port wheel well facing forward. 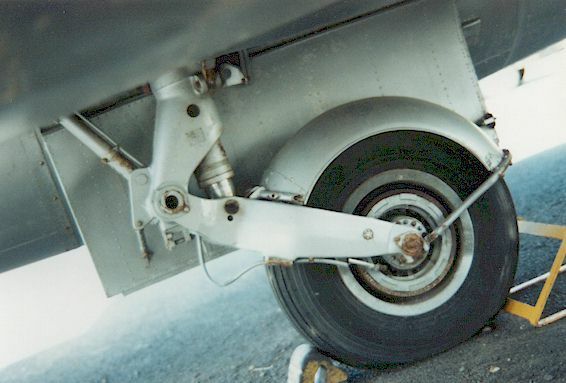 This particular aircraft is a TT20, so the wheel wells have been painted in black. 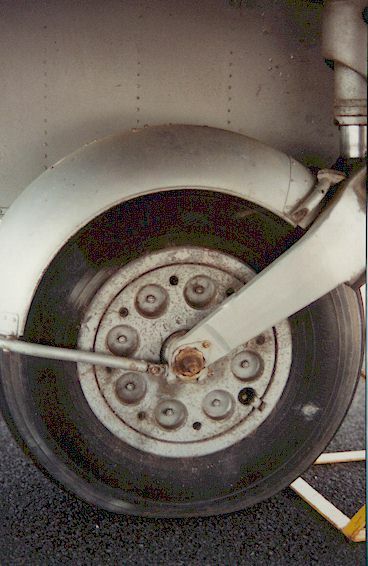 Most F.8’s had aluminium coloured wheel wells. 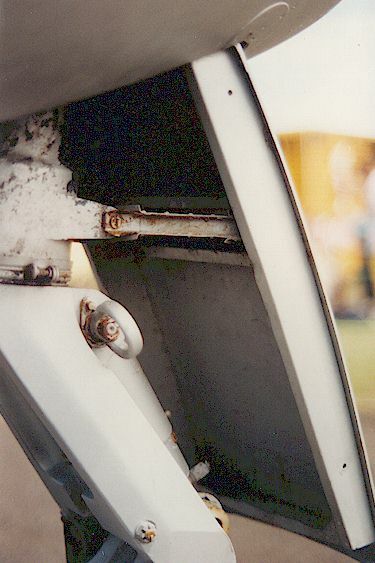 Photo 17 - Port wheel well facing forward. 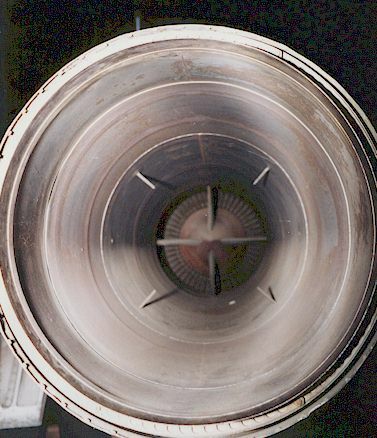 Photo 19 - Jet exhaust - starboard side. 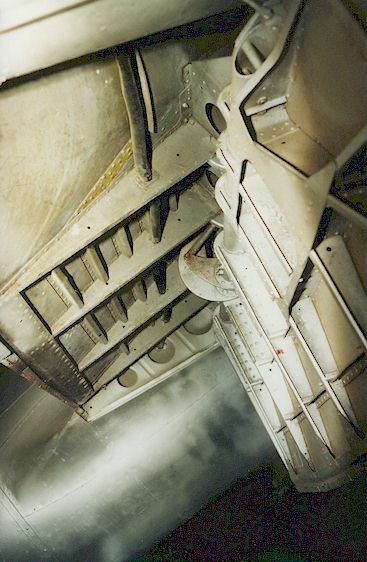 Photo 20 - Port flaps, usually in underside colour of aircraft. 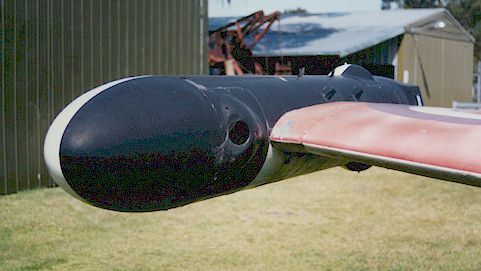 Photos 23,24 and 25 - Close-ups of the earlier style of “AMPOR” pod fitted to Meteor Drone target aircraft as used widely in Australia in the 60’s. 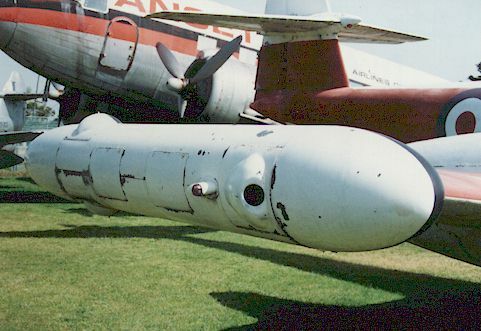 Although these have been fitted to a preserved F.8, these earlier style of pods were only fitted to the U15 drone, which was based on the F.4 variant of the Meteor. 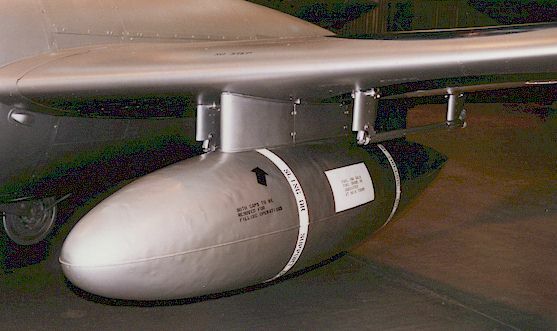 The later U16 and U21 Meteor drones that were based on the F.8 airframe use a slimline version that resembled the body of a modern day Air to Air missile. 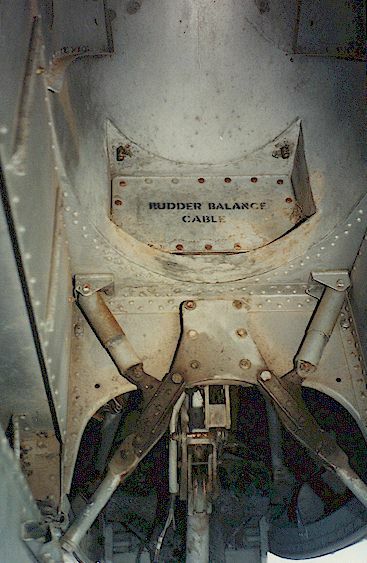 These views are of the starboard side pod. 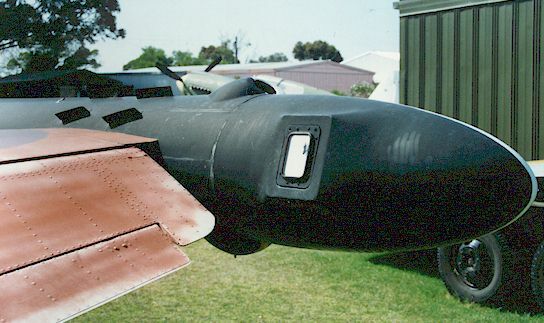 The port side was much the same although it carried a Pitot tube at the front of the pod.